Cricket is a team game, where 11 players all assist each other to win a match and create a moment. But, unlike team sports like soccer or basketball, all the cricketers of the two competing teams to not emerge on the field all at once. While the entire team that is fielding and bowling is on the field, only two batsmen from the opponent side are on the crease. They are responsible for staying on ground as long as possible, and continue to score runs to set a big chase, or as they themselves try to reach the score set by their opponents. A batsman can hardly do this all by himself. 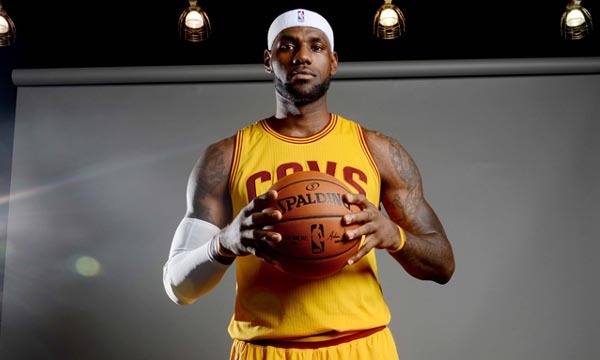 He needs the full support of his partner. Often, they create some extraordinary runs together. 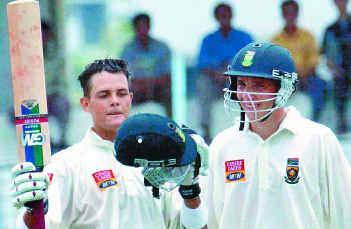 Let us take a look at the 10 Highest Partnerships in Test Cricket. The 2nd Test of 2008 South Africa in Bangladesh Test Series was played between Bangladesh and South Africa at Chittagong Divisional Stadium from 29th February to 3rd March 2008. 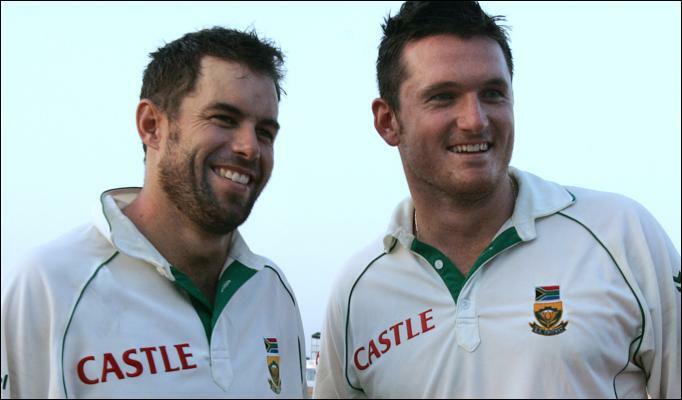 South African batsmen Neil McKenzie and Graeme Smith made a 1st wicket partnership of 415 runs in the 1st innings of South Africa national cricket team on that match which is inducted in the tenth place in our list of 10 highest partnerships in test cricket. Neil McKenzie scored 226 runs in 388 balls with the help of 28 boundaries and 3 over-boundaries, and on the other hand Graeme Smith made 232 runs in 277 balls with the help of 33 boundaries and 1 over boundary. South Africa won the test match by an innings and 205 runs, and South African batsman Graeme Smith was declared player of the match for his batting performance. The 3rd Test of 2003 South Africa in Bangladesh Test Series was played between Bangladesh and South Africa at MA Aziz Stadium, Chittagong, from 24th April to 27th April 2003. South African batsmen Jacques Rudolph and Boeta Dippenaar made a 3rd wicket partnership of 429 runs in the 1st innings of South Africa national cricket team on that match which is inducted in the ninth place in our list of 10 highest partnerships in test cricket. Jacques Rudolph scored 222 runs in 383 balls with the help of 29 boundaries and 2 over-boundaries, and on the other hand Boeta Dippenaar made 177 runs in 369 balls with the help of 25 boundaries and 2 over boundary. South Africa won the test match by an innings and 60 runs, and South African batsman Jacques Rudolph was declared player of the match for his batting performance. The 1st Test of 2009 Sri Lanka in Pakistan Test Series was played between Sri Lanka and Pakistan at National Stadium, Karachi, from 21st February to 25th February 2009. Sri Lankan batsmen Mahela Jayawardene and Thilan Samaraweera made a 4th wicket partnership of 437 runs in the 1st innings of Sri Lankan national cricket team on that match which is inducted in the eighth place in our list of 10 highest partnerships in test cricket. Mahela Jayawardene scored 240 runs in 424 balls with the help of 32 boundaries, and on the other hand Thilan Samaraweera made 231 runs in 318 balls with the help of 31 boundaries. The match was declared a draw between the teams, and Pakistani batsman Younis Khan was declared player of the match for his batting performance of 313 runs in 568 balls. The 2nd Test of 2004 Sri Lanka in Zimbabwe Test Series was played between Sri Lanka and Zimbabwe at Queens Sports Club, Bulawayo, from 14th May to 17th May 2004. Sri Lankan batsmen Kumar Sangakkara and Marvan Atapattu made a 2nd wicket partnership of 438 runs in the 1st innings of Sri Lankan national cricket team on that match which is inducted in the seventh place in our list of 10 highest partnerships in test cricket. Kumar Sangakkara scored 270 runs in 365 balls with the help of 36 boundaries and 2 sixers, and on the other hand Marvan Atapattu made 249 runs in 324 balls with the help of 36 boundaries and an over boundary. 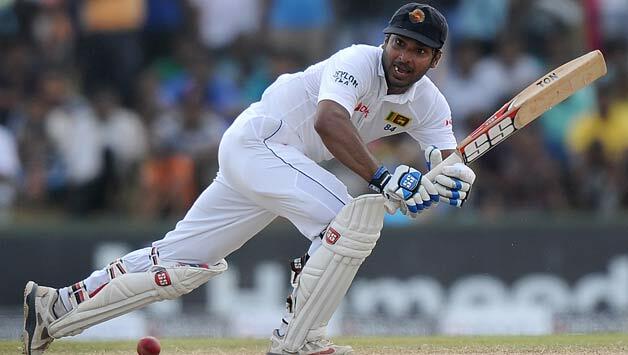 Sri Lanka won the test match by an innings and 254 runs, and Sri Lankan batsman Kumar Sangakkara was declared player of the match for his batting performance. The 3rd Test of 1958 Pakistan in West Indies Test Series was played between Pakistan and West Indies at Sabina Park, Kingston, Jamaica, from 26th February to 4th March 1958. West Indian batsmen Sir Conrad Hunte and Sir Garry Sobers made a 2nd wicket partnership of 446 runs in the 1st innings of West Indies national cricket team on that match which is inducted in the sixth place in our list of 10 highest partnerships in test cricket. Sir Conrad Hunte scored 260 runs with the help of 28 boundaries and an over-boundary, and on the other hand Sir Garry Sobers made 365 runs with the help of 38 boundaries. 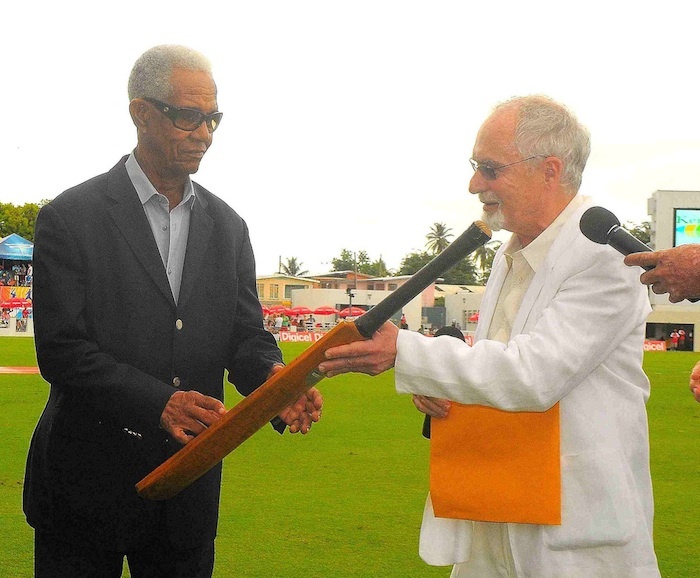 West Indies won the test match by an innings and 174 runs, and West Indian batsman Sir Garry Sobers was declared player of the match for his batting performance. The 4th Test of 1983 India in Pakistan Test Series was played between Pakistan and Sri Lanka at Niaz Stadium, Hyderabad, Sind, from 14th January to 19th January 1983. Pakistani batsmen Mudassar Nazar and Javed Miandad made a 3rd wicket partnership of 451 runs in the 1st innings of Pakistani national cricket team on that match which is inducted in the fifth place in our list of 10 highest partnerships in test cricket. Mudassar Nazar scored 231 runs in 444 balls with the help of 21 boundaries and an over-boundary, and on the other hand Javed Miandad made 280 runs in 460 balls with the help of 19 boundaries and 1 over-boundary. 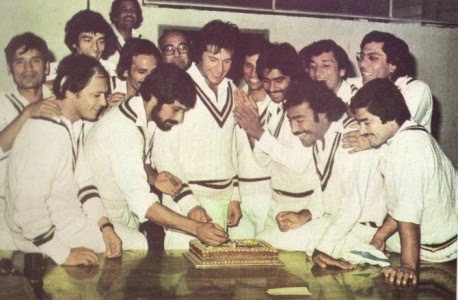 Pakistan won the test match by an innings and 119 runs, and Pakistani batsman Javed Miandad was declared player of the match for his batting performance. The 5th Test of 1934 The Ashes Series was played between England and Australia at Kennington Oval Ground, London, from 18th August to 22nd August 1934. 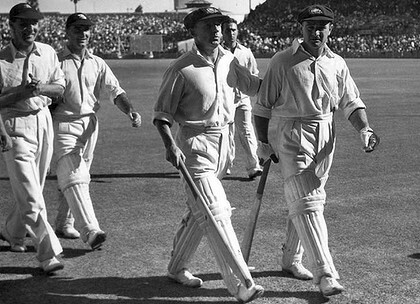 Australian batsmen Bill Ponsford and Sir Don Bradman made a 2nd wicket partnership of 451 runs in the 1st innings of Australian national cricket team on that match which is inducted in the fourth place in our list of 10 highest partnerships in test cricket. Bill Ponsford scored 266 runs in 422 balls with the help of 27 boundaries, and on the other hand Sir Don Bradman made 244 runs in 271 balls with the help of 32 boundaries and an over boundary. Australia won the test match by 562 runs. The 1st Test of 1991 Sri Lanka in New Zealand Test Series was played between New Zealand and Sri Lanka at Basin Reserve Ground, Wellington, from 31st January to 4th February 1991. New Zealand batsmen Andrew Jones and Martin Crowe made a 3rd wicket partnership of 467 runs in the 2nd innings of New Zealand national cricket team on that match which is inducted in the third place in our list of 10 highest partnerships in test cricket. 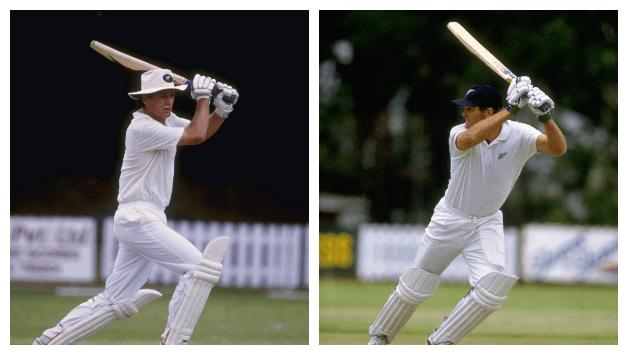 Andrew Jones scored 186 runs in 454 balls with the help of 15 boundaries, and on the other hand Martin Crowe made 299 runs in 523 balls with the help of 29 boundaries and 3 over-boundaries. The match was declared a draw between the teams, and New Zealand batsman Martin Crowe was declared player of the match for his batting performance. The 1st Test of 1997 India in Sri Lanka Test Series was played between Sri Lanka and India at R Premadasa Stadium, Colombo, from 2nd August to 6th August 1997. 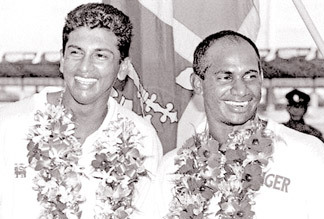 Sri Lankan batsmen Sanath Jayasuriya and Roshan Mahanama made a 2nd wicket partnership of 576 runs in the 1st innings of Sri Lankan national cricket team on that match which is inducted in the second place in our list of 10 highest partnerships in test cricket. Sanath Jayasuriya scored 340 runs in 578 balls with the help of 36 boundaries and 2 over-boundaries, and on the other hand Roshan Mahanama made 225 runs in 561 balls with the help of 27 boundaries. The match was declared a draw between the teams, and Sri Lankan batsman Sanath Jayasuriya was declared player of the match for his batting performance. The 1st Test of 2006 South Africa in Sri Lanka Test Series was played between Sri Lanka and South Africa at Sinhalese Sports Club Ground, Colombo, from 27th July to 31st July 2006. Sri Lankan batsmen Kumar Sangakkara and Mahela Jayawardene made a 3rd wicket partnership of 624 runs in the 1st innings of Sri Lankan national cricket team on that match which is inducted in the top place in our list of 10 highest partnerships in test cricket. Kumar Sangakkara scored 287 runs in 457 balls with the help of 35 boundaries, and on the other hand Mahela Jayawardene made 374 runs in 572 balls with the help of 43 boundaries and an over boundary. 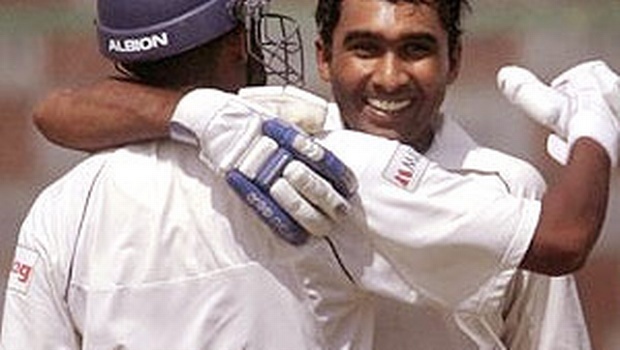 Sri Lanka won the test match by an innings and 153 runs, and Sri Lankan batsman Mahela Jayawardene was declared player of the match for his batting performance. These batsmen have emerged on the field together and created historic moments, as well as record runs that are hard to match. 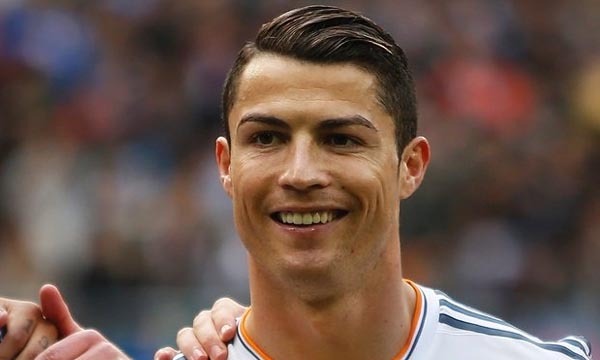 Their incredible partnerships, rooting from good understanding of each other and great chemistry, have got their names etched in the history of the sport.